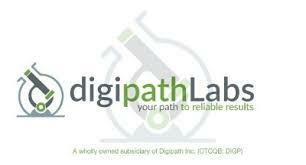 LAS VEGAS, NV--(Marketwired - Dec 5, 2016) - Digipath, Inc. (OTCQB: DIGP), an independent cannabis lab testing and media firm, is pleased to announce that it will hold a corporate update conference call on Wednesday, December 7th, at 4:15pm ET. The purpose of the call is to provide an update on Digipath's organic growth strategy, acquisition strategy, developments in the Nevada market post recreational legalization and the Company's expanding technological capabilities. There will be a Q&A session towards the end of the conference call. Interested parties that want to submit questions must do so prior to the call by sending an email to hphillips@viridianca.com.